Surely you’ve passed through the bakery to buy it, but you have not asked what exactly is the story of the Three Kings Cake that through the years has become a typical dish of the Epiphany. On January 6 the children wake up with the illusion of opening gifts the Three Kings have left them the night before. After the initial excitement comes the breakfast which consists of the round cake called Roscón, accompanied with hot chocolate, ideal to recharge energy. 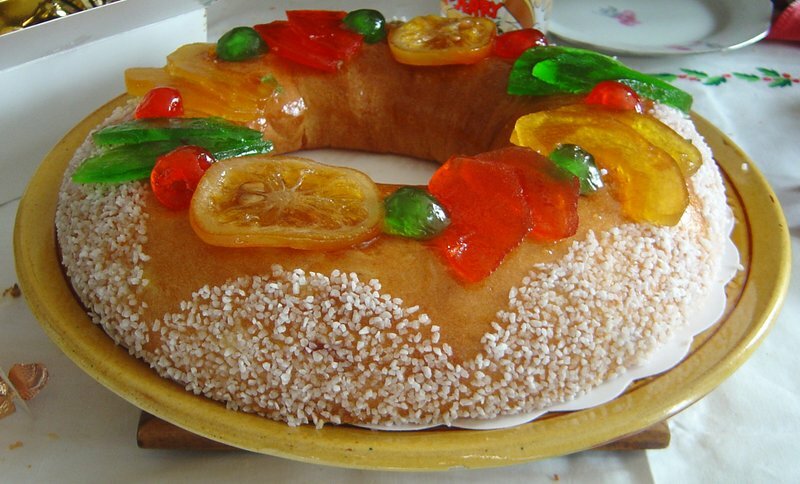 The custom of celebrating January 6 Epiphany, the Kings’ cake originated in the eleventh century from the Christian celebration known as the king of the bean. It consisted of picking one among the poorest children in a village and crown him as king of the Epiphany and offer him gifts, clothes and delicacies. This popular festival is also celebrated at the family level: the same day, in every households is made King’s cake with a surprise inside. It might be a bean, a coin or other small object. The person who finds it is crowned king and head of the table.